locr NAVImaps detail personalized routings to one or to multiple locations. 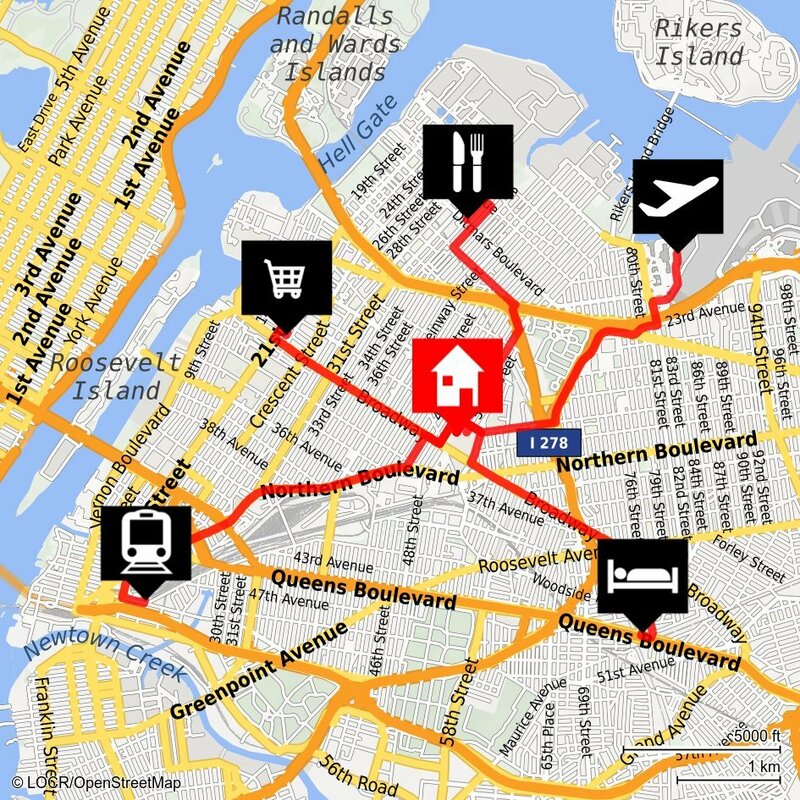 The start and the target location are customized with different logos or icons, and up to five destinations can be shown on one map. locr NAVImaps detail personalized routings to one or to multiple locations. The start and the target location are customized with different logos or icons. Want to highlight more than one location? Up to five destinations can be shown on one map. Best of all, you can use your own icon or logo as part of the map. Because these maps help your customers to visualize a journey, they can be used in a variety of ways. For example, a bank wants to attract customers to a particular branch. A personalized map on a direct mail postcard can highlight the exact route a customer would take to get to that branch. NAVImaps add a highly personalized element to your marketing campaigns that increases interaction and generates higher response rates.